Isobel Te Aho-White’s mural design entitled ‘Whenua Ataahua’ is proposed for the side of Newtown Mall on Riddiford Street. Her proposed mural design comes from the perspective of matauranga Māori (Māori knowledge) around preserving our whenua (land). 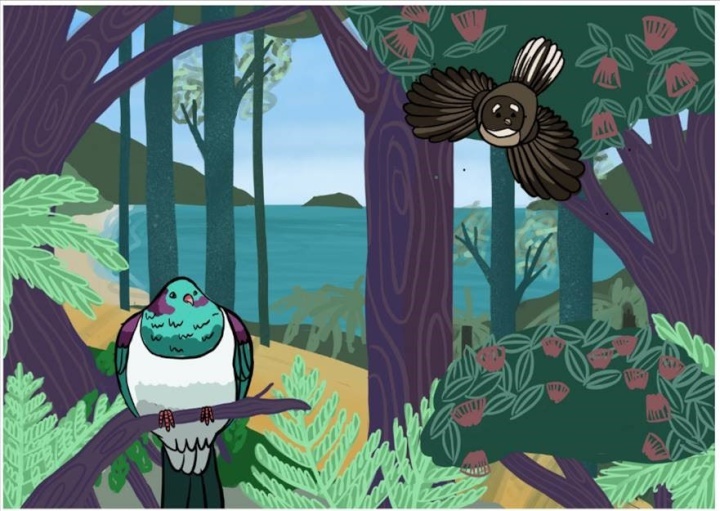 In her submission Isobel said the mural is a mix of traditional Māori and illustrative elements which create a contemporary design acknowledging indigenous wisdom around environmental issues.